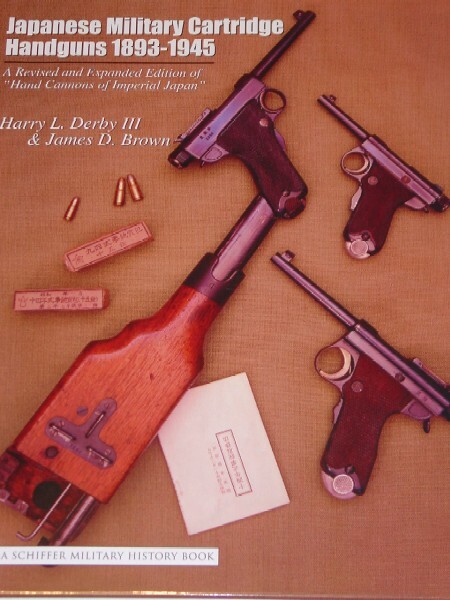 "Hand Cannons of Imperial Japan"
It is outstanding! The pictures are great, the text is great, and, much like the original, you can learn more about Nambus than you ever realized there was to know! I've only had my copy for 2 days and I'm suffering from a severe case of "Namburosis" and have joyfully realized that I only need a few hundred more variations to fill out my Nambu Collection. It contains extensive information on production figures, proof marks, and variations within each model, from the Type 26 through the Type 94 and everything in between. It contains 380+ pages of information, sharp- clear color and black and white photos. Retail is $79.95 and the book is available from Barnes and Noble online or directly from the authors (who might be willing to sign it for you) and can be reached at NambuKenjyu@hotmail.com.